People, goods and capital involved in preparing and perpetrating terrorist acts generally, cross borders and transit between different countries. The border is therefore the ideal place for thwarting the preparation of violent acts in advance, and for intercepting individuals linked to a terrorist organization. Thanks to its privileged positioning at different points of entry, its expertise, and its work managing cross-border flows, Customs is a strategic partner in establishing any policy targeting these objectives. I would like, in this article, to give some useful guidance on counteracting the transport of goods and the movement of people posing a risk, and to share my thoughts on training Customs teams in detection, the specific missions which may be entrusted to them, the support they can receive, and cooperation with other specialist services. the roll-out of customized communication and protection equipment to protect Customs teams and safeguard the conditions in which they intervene, such as service weapons, encrypted communication media, radios, and intermediate means of defence, particularly at sensitive borders. I would like to underline the first point, and stress that the management and effectiveness of programmes and instruments to promote the security of flows of goods and people depends on the appropriate training of the Customs teams which use them. In line with WCO recommendations, Customs administrations are the drivers, at national level, of programmes to safeguard international trade in goods, particularly those goods carried by air and sea. 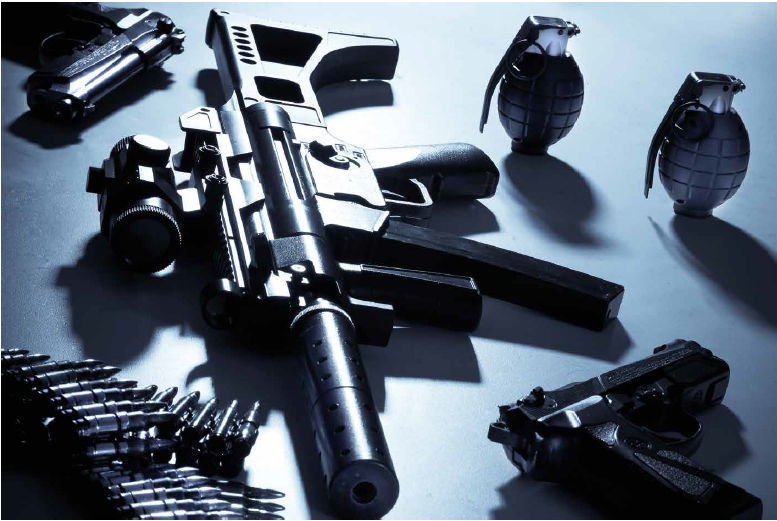 The instruments used to this end constitute relevant tools which help both prevent and counter potential attacks on international flows of goods, while also helping to detect goods or people potentially linked to a terrorist activity, or allowing the financing thereof. Among the programmes and tools used by French Customs are the Authorized Economic Operator (AEO) programme, its linkage with the approvals and audits carried out on companies in charge of air freight security, or the Import Control System (ICS) – a European Union (EU) programme which helps prevent terrorist attacks against means of transport, particularly aeroplanes, by contaminating commercial shipments. The Advance Passenger Information (API)/Passenger Name Record (PNR) Programme, which provides for the collection and processing of data on air passengers to combat the phenomenon of foreign combatants inter alia, also falls within this approach. The functionalities of these tools must be used to their full potential, in particular those which target security, with automated reports helping to select consignments and individuals likely to be of interest in the fight against terrorism. The processing of useful, actionable information, particularly on the exchanges made by individuals, is key to combating violent extremism. However, the effectiveness of these instruments depends on the level of training, and the competences of the Customs teams in charge of monitoring them. Emphasis should be placed on training in the use of such tools, and on ensuring Customs teams embrace their use. Specific missions are allocated to all Customs services involved in fighting terrorism and dedicated to promoting the security of flows of goods, and securing the movement of people. These administrations traditionally exercise controls on the movement of, and on trade in, arms, explosives, and ammunition. Their expertise is recognized and regularly allows the interception of illegal or suspect flows. These Customs authorities are also associated with specific initiatives when it comes to counter-proliferation. The modus operandi used in terrorist attacks or attempted attacks in France, particularly those in Paris on 7 January 2015, and in the Thalys train connecting Amsterdam and Paris on 21 August 2015, attest to the need to strengthen the role of Customs administrations in combating illegal flows of arms and ammunition, in particular those generated by individuals. At national level, Customs may also be charged directly with preventing terrorist acts through specific security missions on certain means of transport, or controls on people at borders – security checks on sensitive means of transport or communication, security of air freight, etc. Such action may also be carried out within a framework of supervision or audit. On certain means of transport, Customs may also be assigned to carry out security checks on the means of transport, and on the goods, people and baggage being carried. Fighting against illegal financial transfers, money laundering and the financing of terrorism must be a top priority for Customs administrations. The checks carried out assist in the interception of financial flows from, or destined to help, terrorist networks. These actions regularly uncover structured networks and their financing methods. Strengthening legislation to authorize asset freezing, in particular, should be encouraged, so as to immobilize goods and people, and ultimately prevent the financing of terror organizations. While Customs administrations are clearly identified as key stakeholders in the fight against terrorism, it is necessary to secure and build up their intervention capacities, particularly through concrete and specific measures. Raising awareness and regular exposure of Customs officials to threat assessment and to detection when checking elements likely to be of interest in the fight against terrorism are essential. Given their strategic positioning on external borders in particular, Customs teams may, during controls, be confronted at any time with people, goods or documents linked to a terrorist organization. It is imperative that they have the reflexes and processes needed to intervene appropriately in such situations. Measures to raise awareness of the modus operandi of terrorist organizations, sensitive origins, financing methods, behavioural analysis, etc. can guide the action of Customs services, and facilitate the detection of elements linked to violent extremism. These elements can be extremely tenuous at the start of a Customs check – hotel bills or parking receipts in a sensitive area, specific responses to questions, the behaviour by the person which draws the attention of the Customs official, etc. During targeted control operations, or in random checks, Customs officials may find themselves in direct contact with goods, documents, capital or people linked to violent extremism. Managing this type of situation requires an appropriate response, in terms of security, confidentiality and protection of information, the definition of follow-up measures and action to be taken, and finally stress management and behaviour management – management of a finding by a Customs service in connection with violent extremism requires equanimity and responsiveness. These elements should be integrated into training courses for Customs officials. To allow officials to develop the reflexes and processes needed to manage this type of event, regular programming of situational exercises for the detection of arms, explosives and sensitive goods, and even the questioning of people suspected of having links to violent extremism, must be encouraged. The repetition of this type of exercise, with consistent scenarios, will allow Customs teams to manage such events if they occur. The participation of specialist services in the fight against terrorism, such as intelligence services, mine disposal teams, and services responsible for dealing with nuclear, radiological, biological and chemical threats, is recommended. These exercises may usefully be accompanied by instructions and good practices designed to preserve the confidentiality of instructions, protect the documents and tools used, and improve the protection of premises harbouring sensitive information and documents. An additional consideration may also include protective measures for the information systems used by Customs services. Action by Customs administrations in the fight against violent extremism must be carried out as part of a complementary approach with dedicated specialist services. Thanks to the instruments at their disposal and the control missions they perform, Customs services regularly receive useful information about violent extremism. Processing exchanges of information depends on both the establishment of specific circuits and processes for the management of information. The establishment within Customs administrations of an operational service interfacing with specialist services may be an option. This dedicated level can help ensure the secure transmission of strong or weak signals, and useful and trusted information. It may constitute a reference support point both internally and for specialist services. It is also important to share, by ensuring the sharing of experience about detection and selection, as well as ways of managing controls. The expertise of Customs teams engaged in security missions and their knowledge of threat assessment may usefully be harnessed by other teams controlling external borders. The action of Customs services should therefore be geared towards a coordinated approach to handling the instruments they have for managing and controlling cross-border flows. These instruments are complementary, and may allow the cross-checking of potentially useful information in the fight against terrorism. Regular coordination between the services charged with steering these tools may also allow targeting and selection criteria for the purposes of consistent control to be defined. In cross-border action to fight terrorism, any measure or act should also be accompanied by cooperation mechanisms, and mechanisms allowing exchanges of information with specialist services in neighbouring countries. By way of example, French Customs participates directly in such actions through the police and Customs cooperation centres set up in border regions with Belgium, Germany, Italy, Spain and Switzerland. These centres bring together, at the borders, officials from the police, the Gendarmerie and French Customs, as well as their counterparts in a neighbouring country. The border cooperation centres primarily allow the collection, analysis and exchange of useful information in terms of police and Customs cooperation. They can also help coordinate cross-border monitoring and control missions, particularly in the event of a terrorist attack.